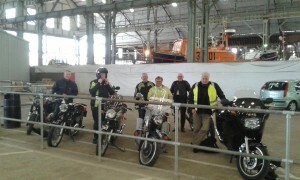 Seven branch members on seven Nortons rode down into Kent to enjoy a day at the Chatham Historic Dockyards. It was really nice to be able to park our bikes under cover, inside what once was a covered slip where originally ships were built then slipped gently into the river Medway. 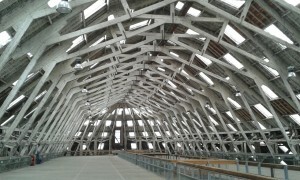 We first visited the very clever “Heart of Oak” inside the Mast House and Mould Loft (built 1750’s). 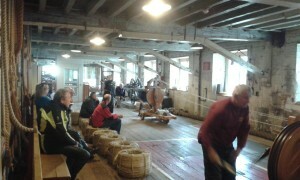 This followed the footsteps of a retired Master Shipwright as he revisits the Dockyard with his grandson trying to encourage his grandson to a Shipwright career. At the same time explaining the processes that take place to build a timber hulled, sail powered war ship. 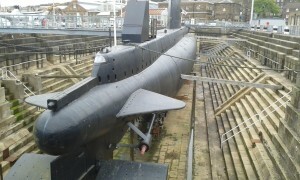 We next went on the tour of HM Submarine Ocelot which again was excellent, the guide talked as if he himself was crew of the sub when it was in service. After lunch & refreshments we were booked to attend the 2.30pm Victorian Ropery tour. 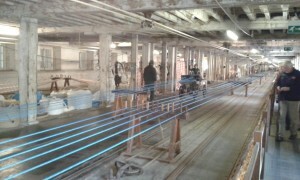 Rope has been made here since 1618 and is still manufactured in the present quarter mile long building which was last modernised in 1812. 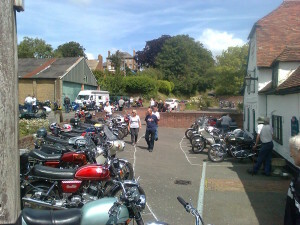 The tour guide was excellent (herself a biker) she made the tour extremely entertaining. We had a turn at making rope (on a small scale) before entering the real “ropewalk” where we watched workers actually making a modern polypropylene rope using the traditional method on very old machinery. 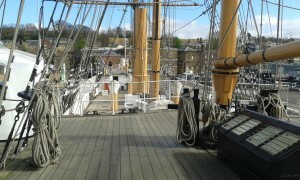 We looked at some of the other buildings and warships. Including this impressive cantilevered timber frame roof built in 1838 over “Slip 3”. A full day is not enough time to see everything, I have a feeling we will be going back later in the year as our entrance tickets last a full twelve months. 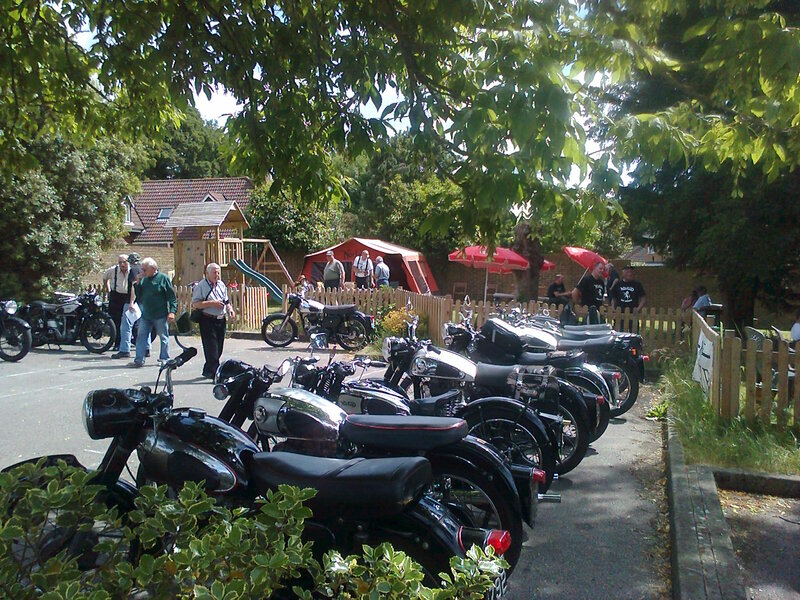 The first branch run for the 2014 riding season was blessed with fine weather, we met at J26 café (M25) from 8am for breakfast and five of us headed off soon after 9am heading north on a great biking ‘back road’ route. We travelled through some spectacular villages such as Much Hadham and Clavering. I think I saw more thatched roof cottages today than I can ever remember. 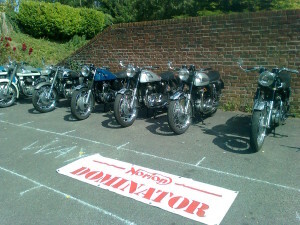 Unfortunately Derek on his Dominator suffered a puncture after we had stopped in a pub car park while Graham went for petrol. 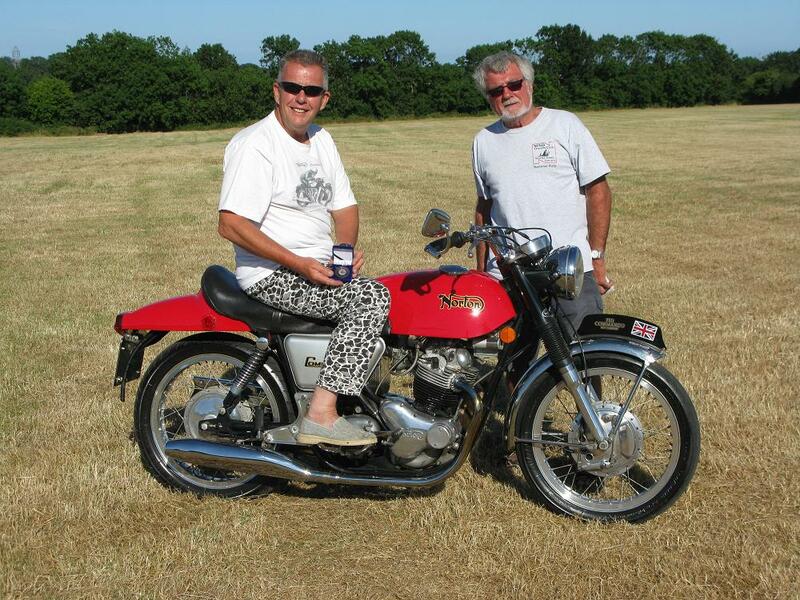 Derek had picked up an incredibly large diameter nail right in the centre of a brand new rear tyre. 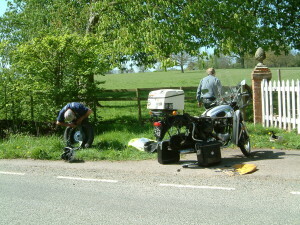 One can of ‘foam instant repair’ just came straight out the hole all over the tarmac without inflating the tyre at all. A call to Carol Nash and a recovery truck was ordered but would be an hour and a half. 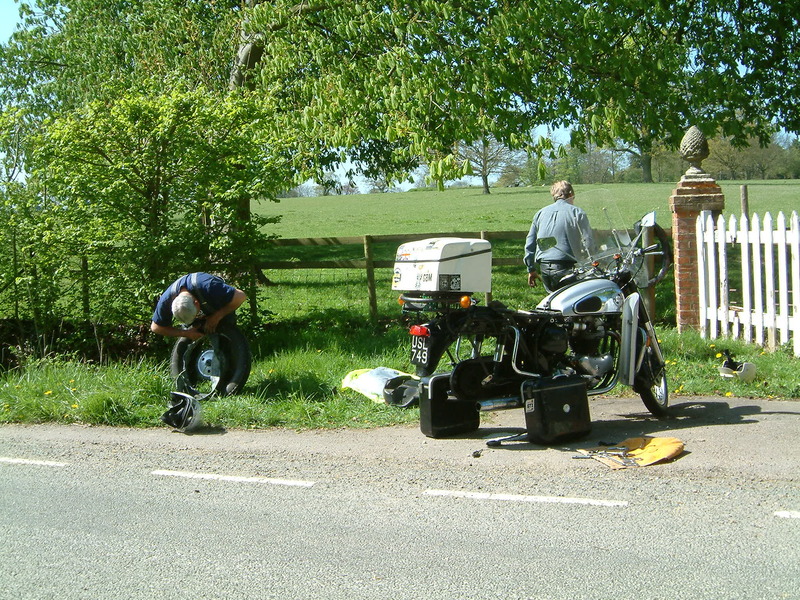 Mick had a spare inner tube on board his Commando so it was decided to change the tube and take the wheel to the garage for an air fill. Half an hour before recovery was due Derek was ready to go, so he cancelled the rescue truck. We finished the planned route on more great roads and arrived in Swavesey 3 hours late. Too late to get lunch at the pub, so our host and hostess Will and Sue fixed lunch and refreshments for us all sitting in their back garden in the sunshine, how nice. After lunch Will started up his 1926 Model T Ford and drove it to a nearby Private road so that playtime could begin. Sue and Graham led the way riding a pair of old Autocycles, one Rudge and one James. 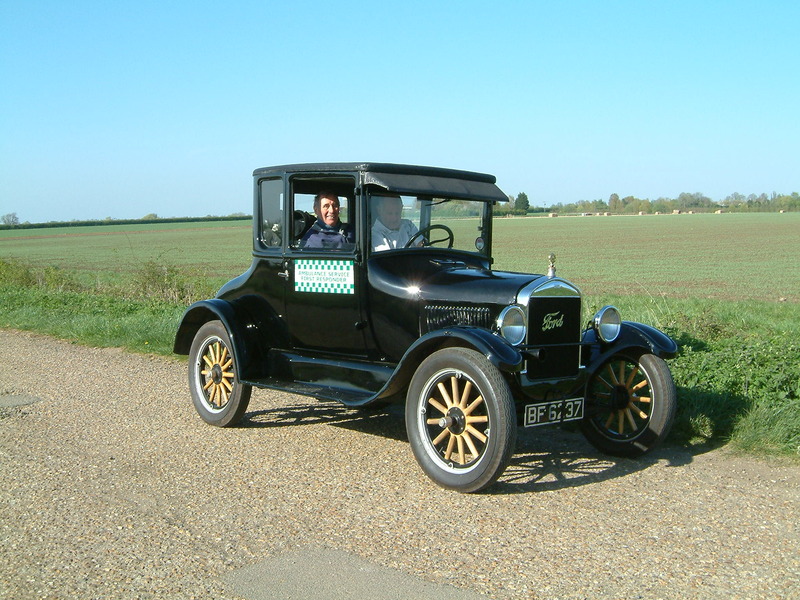 We took turns at the controls of the Model T being carefully tutored by Will. 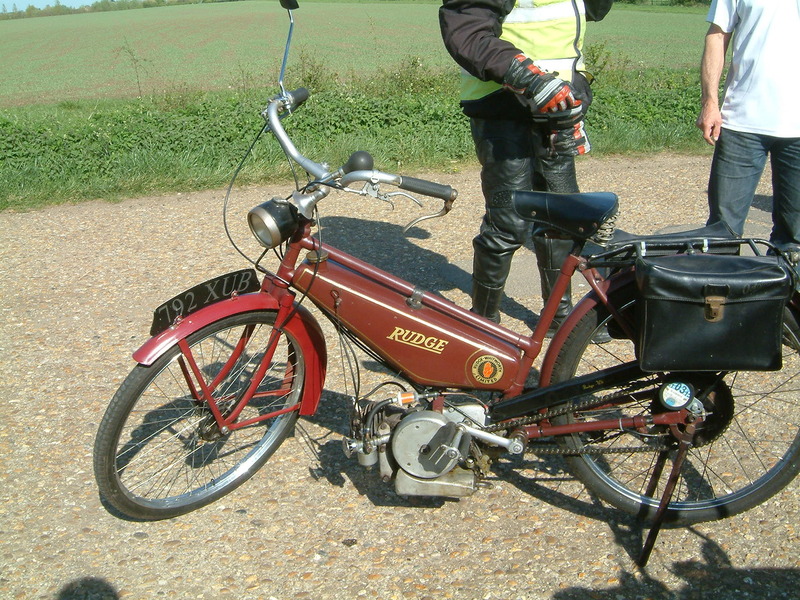 Then a go on the Autocycles. The fun and games over we headed back to our hosts house for more tea. 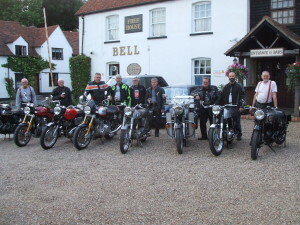 We left there and found a nice route back to Essex via Saffron Walden, Thaxted and Great Dunmow. 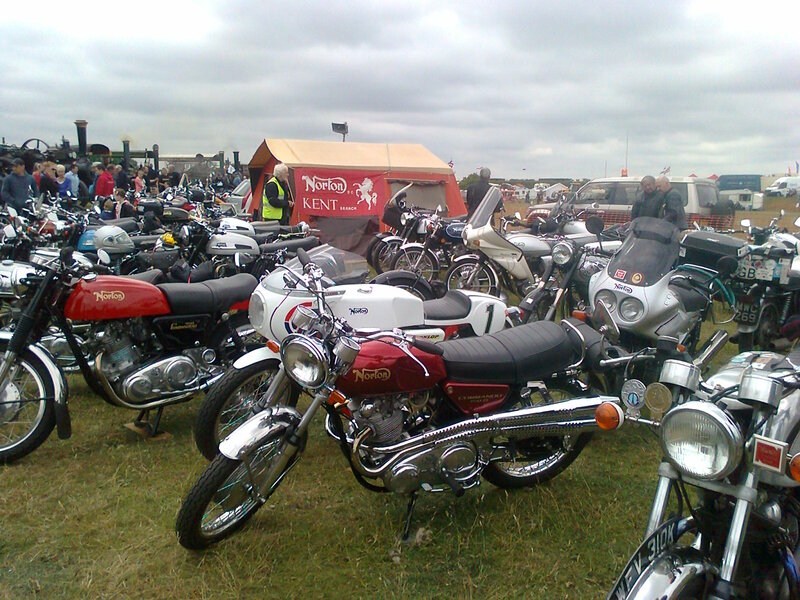 The Kent branch arranged a great display of bikes at the Preston rally/East Kent Show during the daytime Saturday. 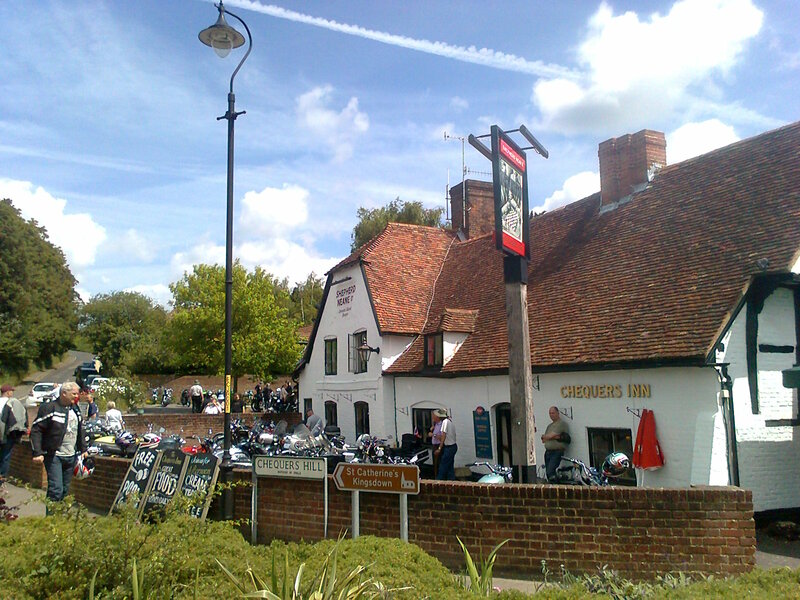 In the evening they had a party with live music at the Chequers pub, to help celebrate their 30th anniversary. 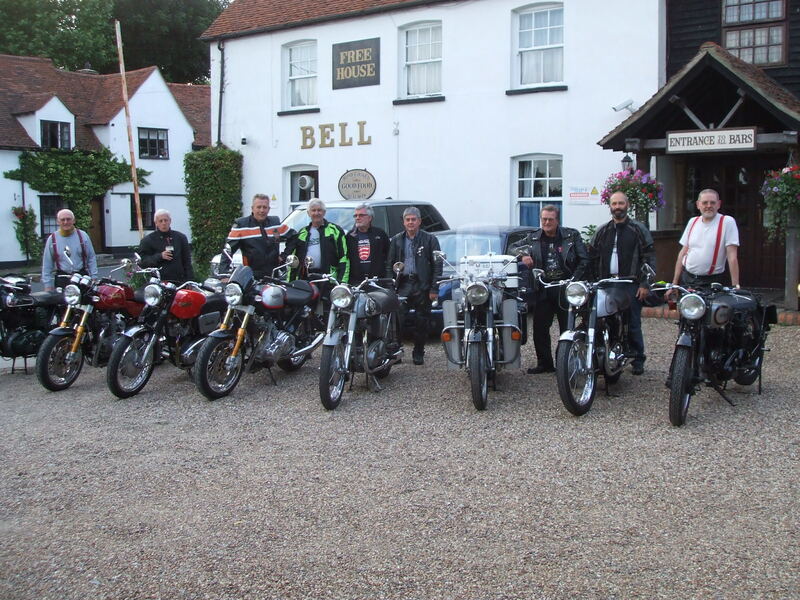 A total of 17 Essex branch members made an appearance during the weekend. Congratulations to Mark Gelsthorpe for getting his 1969 Commando Fastback voted favourite bike. Here are some early arrivals posing by their Nortons outside the Bell pub.